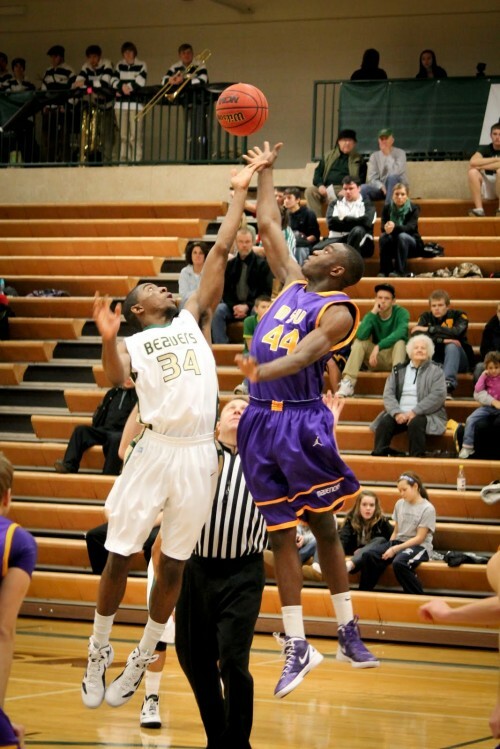 The Bemidji State men’s basketball team has placed itself in a tie for third place in the NSIC with a pair of home wins over Minnesota State and Southwest Minnesota last weekend. The Beavers saw themselves down 23-13 midway through the first half on Friday night. BSU battled back to cut the lead down to 34-29 at halftime. Senior James Ellisor capped off a 6-0 run to start the second half with a huge dunk in transition. The Beavers continued their run to build a ten point lead with 9:16 left to play. The Beavers shot a startling 68 percent from the floor in the second half. Just as the Mavericks were closing in on the Beaver lead, Lance Rongstad and Bryce Tesdahl hit back-to-back three-pointers to up the lead back up to eight points and BSU held on for a 75-67 win. Ellisor led the charge by scoring 21 of his 34 points in the second half. The 34 points matched a career-high for Ellisor. Saturday’s game started off slow again for the Beavers, but their defense gave them a 13-8 lead with 9:38 left in the first half. The Mustangs rallied back to tie the score at 25 at halftime. The Beavers uncharacteristically committed 12 turnovers in the first half. Again, the Beavers offense picked up with a 21-10 run to start the second half. A 3-pointer from Jordn Miller put SMSU within five with 3:04 remaining. Junior Mason Walters and Ellisor sealed the victory with a pair of monster dunks in transition in the final minute of the game. Ellisor led all scorers with 26 on 11-12 shooting. BSU shot 64 percent in the second half. Bryce Tesdahl dished out ten assists to give him four consecutive games with at least seven assists. The win was particularly big for the Beavers because both teams entered Saturday with an 8-4 conference record. 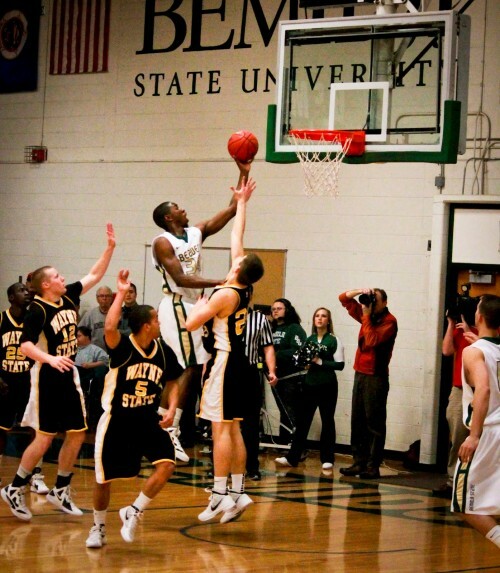 Bemidji State (13-5 9-4 NSIC) plays at University of Mary at 8 p.m. on Friday.